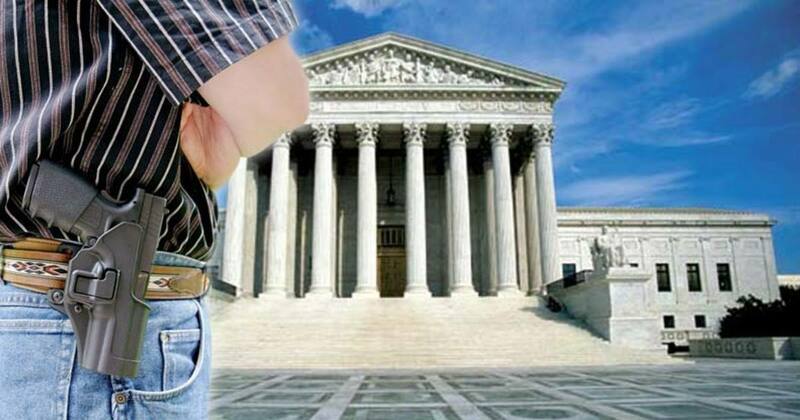 Washinton, D.C. – In the wake of the Orlando shooting, and renewed calls from Democrats for increased gun control measures, the U.S. Supreme Court has upheld a broad federal law that bans people convicted of misdemeanor domestic violence from owning a firearm. The law in question, Lautenberg Amendment, states that any person “who has been convicted in any court of a misdemeanor crime of domestic violence” cannot purchase or receive a firearm. The case stems from two Maine men, Stephen Voisine and William Armstrong III, who presented separate arguments to the Supreme Court. Voisine states that only a conviction for an intentional domestic assault offense should count for the federal gun prohibition while Armstrong argued that the ban violates their constitutional right to bear arms. Gun rights groups argued in vain that the men should not lose their constitutional right due to a misdemeanor conviction. Be aware that the continued march towards disarming the U.S. domestic population continues through judicial and legislative means. In a 6-2 ruling, the court upheld the opinion that domestic violence convictions can result in gun ownership restrictions, even if the misdemeanor is only the result of recklessness rather than intent. Justices Roberts, Kennedy, Ginsburg, Breyer and Alito were in the majority, with Thomas and Sotomayor dissenting. Another facet to this report is the fact that police beat their wives or girlfriends at nearly double that of the regular population. Would the hundreds of officers a year convicted of misdemeanor domestic violence be forced to turn in their guns? If history is any indicator, the answer to that question is no. There is a very real and ongoing attempt, with global origins (see UN Arms Trade Treaty), to regulate firearms out of common public ownership. The people would be wise to remain vigilant in the face of growing attempts at increased state control and regulation over one of the most basic of human rights; the right to self-defense.